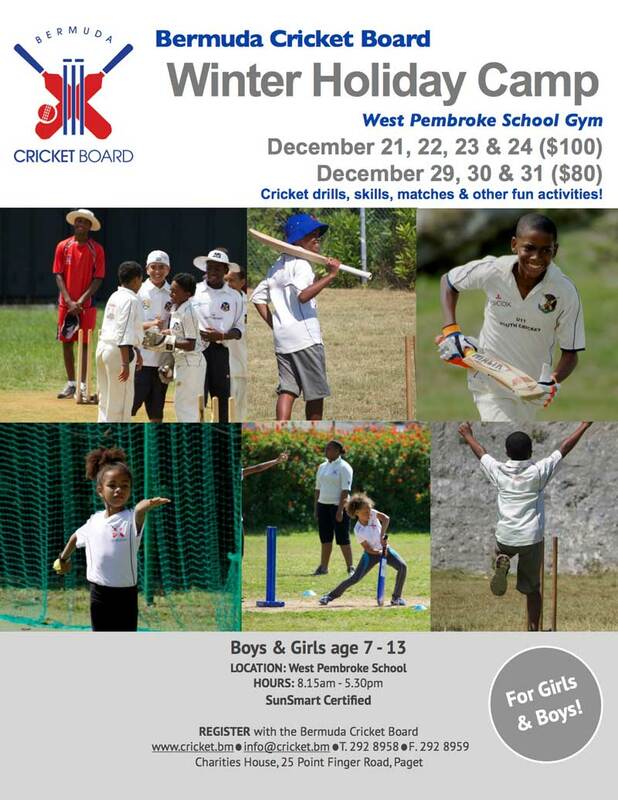 The Bermuda Cricket Board [BCB] will be hosting a Winter Holiday Camp at West Pembroke School Gym, with two separate camp schedules planned, including one from December 21 through December 24, and another from December 29 through December 31. The camp, aimed at boys and girls aged 7 to 13-years-old, will include cricket drills, skills matches, and other fun activities. The camp session from December 21 through December 24 costs $100, while the camp session from December 29 through December 31 costs $80. The camp, which is SunSmart certified, will run from 8.15am through 5.30pm daily. For more information or to register, contact the Bermuda Cricket Board at info@cricket.bm or on 292-8958, or visit the website.